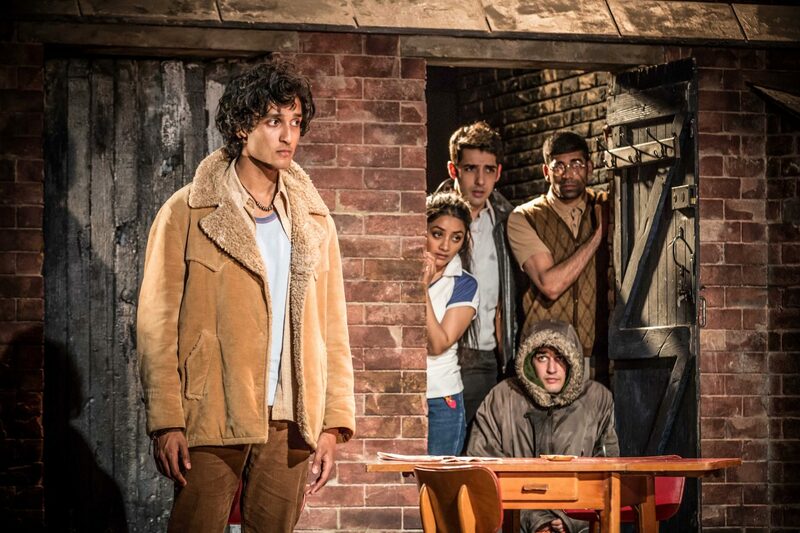 The JLP/Trafalgar Transformed production of East is East has already had an array of great reviews and as a newcomer to this story I was hoping it would live up to expectations on press night at the Churchill Theatre. East is East tells the story of a Salford family in the 1970s. With both British and Pakistani heritage, the culture clash takes its toll and household tensions reach a high when mother, Ella, is divided by her marriage and her children’s freedom. My first thoughts were centred around the set and staging as I sat down to watch this play. I loved the way they used the house’s exterior as the interior too, with bricked walls and wooden shed doors also housing living room objects or playing the kitchen door. From the start it gave me the sense that what was hidden behind closed doors wasn’t necessarily as private as one might hope, really setting the scene for the secretive and unsettling themes of the story. Unfortunately I wasn’t immediately taken by the play itself. It took me a bit longer to settle into the story and a little more effort to make me laugh at the jokes, although you could blame this on my age. The story was interesting enough but it was the cast that really brought it to life for me. The real anchor of the story was the relationship between the two parents, brilliantly played by Pauline McLynn (Ella) and Simon Nagra (George). Pauline’s performance felt natural and warm which reflected her motherly role, ultimately becoming the defender of her children in the most convincing performance of the night. Opposite her Simon portrayed dad ‘Genghis’ quite cleverly; he was the perfect comedian and the controlling father, sometimes in the same breath. The two parallels were clear and powerful – the couple together really captured the nature of the play and translated it well on the stage. The children worked well together although could have done a little more to convince me of their sisterly and brotherly bonds that united against their father. Adam Karim as Sajit really impressed me. It’s hard to portray a convincing character when half your face is hidden beneath a huge coat but Adam managed it extremely well. He developed the character beautifully through the story and conveyed Sajit’s vulnerability to the audience. I was also impressed with Darren Kuppan’s (Maneer) and Ashley Kumar’s (Tariq) personal monologues although the entire cast really held the show as a group which can be partly put down to Sam Yates’ excellent direction I’m sure. I think the style of the play wasn’t to my usual taste but that’s not to say that I didn’t enjoy it. 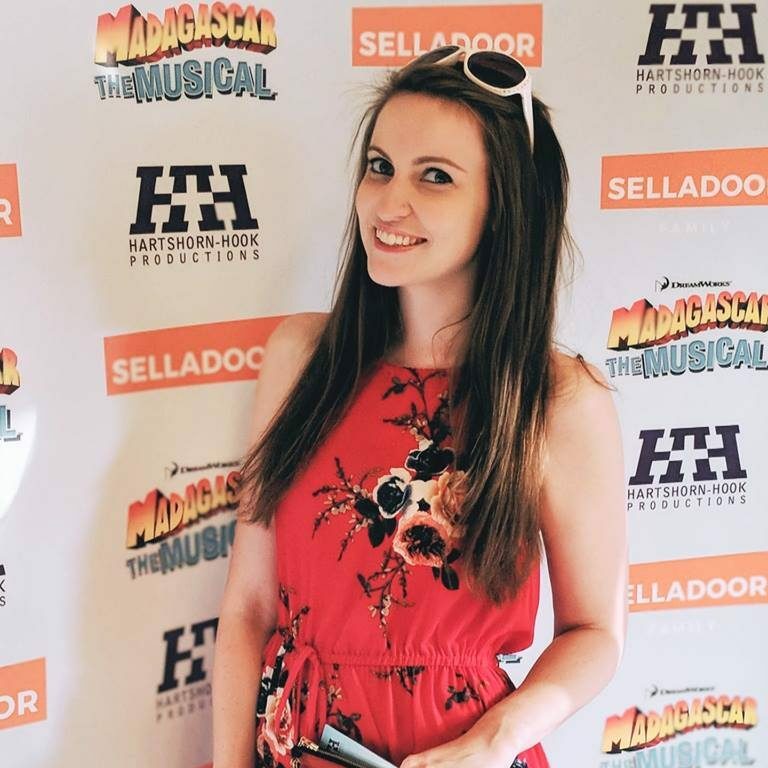 It was a great creative piece and I left the theatre with food for thought, something that will always make it a successful theatre visit. East is East will be at the Churchill Theatre until Saturday 11th July and then touring the country throughout 2015. Tickets and details are available on their website.